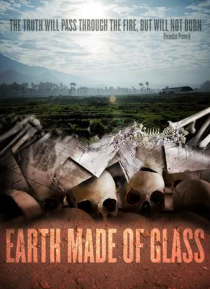 EARTH MADE OF GLASS takes an inside look at the reprecussions of the 1994 Rwandan genocide from political and personal perspectives. The film details Rwandan president Paul Kagame's role in rebuilding the war-torn country into Africa's biggest success story as well as the multigenerational story of genocide survivor Jean Pierre Sagahutu, who has been on a 15-year search for clues to his father's m… urder. Despite never having met, the stories of a President and an ordinary citizen become inextricably linked; bound by a love of country, an insatiable need for truth, and a hope for peace.